Aerotech manufactures sample and detector positioning equipment that removes motion related errors from your X-ray or industrial CT inspection results. Investing in higher precision positioning equipment will not only help provide better measurement resolution and accuracy today but it will also advance your equipment towards the ever-tightening measurement tolerances of the future. 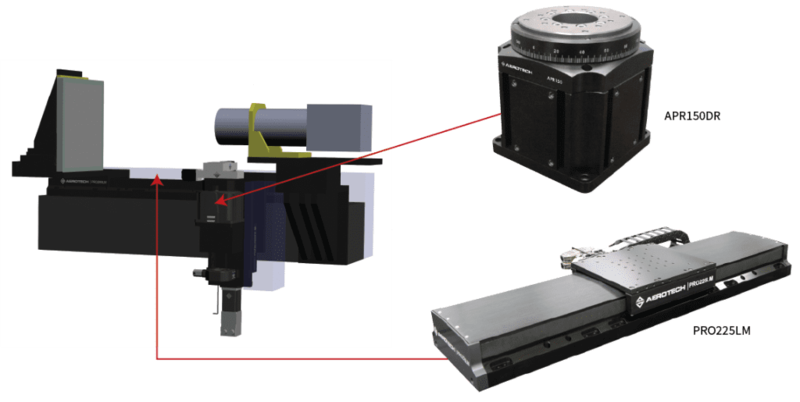 A variety of other linear and rotary stages are ideal for objective lens dynamic focusing. From our AGR series gear-drive rotary stages to our top-of-the-line ABRS and ABRT direct-drive rotary air-bearings, we have a rotary solution to meet your requirements. Our PRO series ball-screw linear stages or the PlanarDLA two-axis direct-drive stage with aperture are also wonderful choices that provide impressive precision and long life. Aerotech can also create your ideal system from our components or design a completely custom system to your specifications. Aerotech is known around the world for our ability to make your motion requirements a reality. Finally, Aerotech controls and drives are second to none and provide you with both powerful capabilities and ease of use in order to take full advantage of the precision motion mechanics of your system. Whatever you decide, we’d be happy to discuss your application. Please contact an Aerotech Application Engineer for a no-obligation review of your next project. Aerotech motion systems’ unmatched precision, accuracy, and durability have made us a leader in test, measurement, and inspection applications across a wide array of industries. 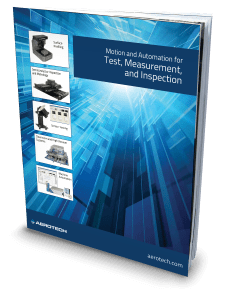 Our newest brochure presents motion capabilities and solutions in sensor testing, surface profiling, nondestructive test, semiconductor inspection and metrology, cleanroom and high-vacuum systems, and integrated automation and data acquisition.